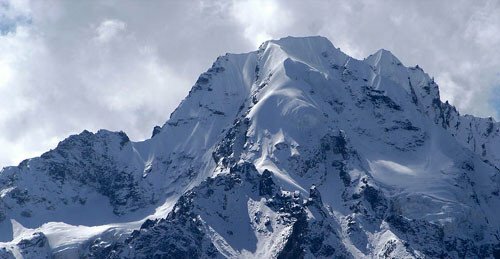 Also known as the Ganja La Chuli, the Naya Kanga Peak is situated in the Langtang region and is a popular peak for climbing in Nepal. 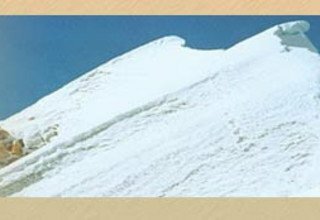 With good accessibility and overwhelming ecstasy during the climb, this peak attracts a lot of mountain climbing enthusiasts to its summit. 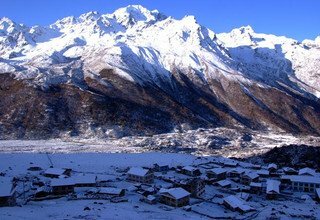 The Naya Kanga Peak Climbing offers a journey through the Tibetan-influenced villages in Langtang with a massive range of biodiversity. 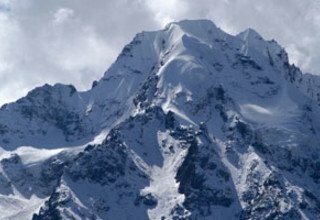 A hint of Tibetan culture, a pinch of floral and faunal richness with a whole lot of Himalayan presence, the Naya Kanga Peak Climbing is an exceptional option for trekkers and mountaineers alike. 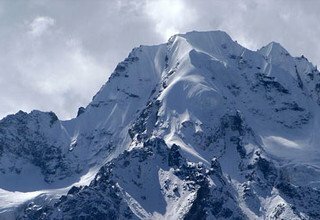 Situated very close to the Kathmandu valley, it is the nearest peak and can be reached with relative ease. The trail starts with dense forests of rhododendron, oak and slowly leads to a much rockier and marshy land. 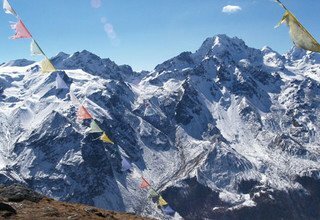 Leading through Ghoda Tabela and Kyanjin Gompa, we hike to Tserko Ri (4984m) which is also a great viewpoint to view the gorgeous Langtang ranges. Then, we continue our trek to Naya Kanga peak summit. 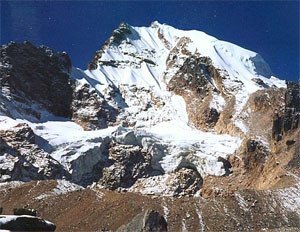 Once at the top, we will be able to witness mountains such as Langtang (7,227m), Yala (5,500m), Shishapangma (8,013m) and Dorje Lakpa (6,966m). 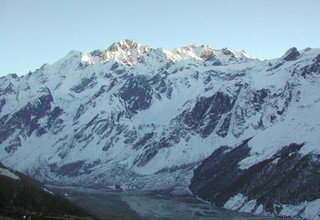 The Langtang region is well known for its natural beauty which consists of many peaks, glaciers, waterfalls, jungles of various types and within itself harbors a lush variety of flora and fauna ranging from the rare red panda to the ever elusive snow leopard. This region is also equally rich in culture and houses within itself the worshippers of the Hindu as well as the Buddhist faith. The omnipresence of Buddhism can be felt through the many prayer flags, wheels, monasteries, and Chorten that people have placed along the way. With friendly people and the great chance of viewing the mountains, this is an adventure proving its worth. 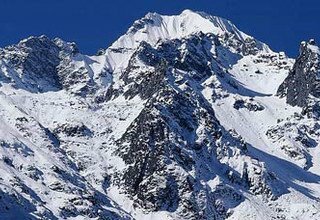 This is one of the lesser climbed peaks and does not require technical knowledge or expertise. However, this is a strenuous trek and requires a good level of fitness for anyone attempting to climb it. 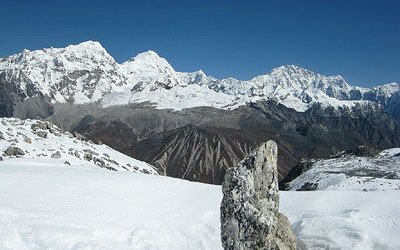 Swiss Family Treks and Expedition is a leading agency in travel and tourism in Nepal. Our guides speak English and have been certified by the Government of Nepal. Many of the natives of trekking regions, they have a deep knowledge and understanding of the culture and practices of Nepal. Furthermore, we provide excellent accommodation and transportation for our clients. Join with us on Naya Kanga Peak Climbing in 2019/2020. Welcome to Kathmandu, our guest representative will receive you at the Tribhuvan International Airport and drop you at your hotel. Overnight in a 3-star hotel in Kathmandu. To avoid traffic we will move early in the morning to Sybrubensi. We will pass through beautiful sceneries of green lush hills, occasional sight of the snow-covered mountains along with some of the fastest flowing rivers of Nepal. Sybrubensi is the starting point of most of the treks and expeditions in the Langtang region so you can prepare for the trek and shop for any necessary trekking equipment. Overnight in Sybrubensi. Walking alongside the Langtang River, we will slowly ascend to Lama Hotel. We will be crossing small quaint Tamang villages with beautiful stone houses and get the first glimpse of the Himalayas. The occasional prayer flags fluttering against the wind on the backdrop of the village look beautiful and provide great opportunities at photography. Overnight in Lama Hotel. Known for its rich flora fauna, this region offers plenty of beauty as we make our way to Langtang village. We will pass through Gumanechok and Ghodatabela before reaching Langtang village. We will cross many small waterfalls and streams, lush meadow before reaching Langtang village from where we will get a view of the Langtang range. Overnight in Langtang Village. Of great significance to the residents of this area, the Kyanjin Gompa looks beautiful against the backdrop of grey and white. The Buddhist influence so omnipresent we can see many prayer flags fluttering against the prayer wheel and the small prayer houses that people have built. 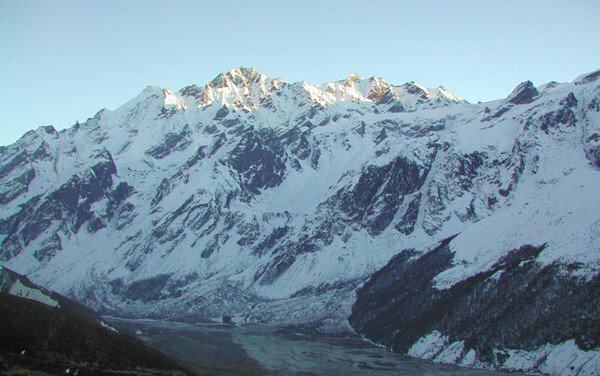 You can also get views of Langtang Lirung (7227m) and Langtang II (6596m) from the village. Overnight in Kyanjin Gompa. For acclimatization today we will hike up to Tserko Ri (4984m). Through various pastures where yaks can be seen grazing, the sunrise from Tserko Ri is breathtaking. From a height of 4984m, it offers a wonderful view of the valley below and gives a panoramic view of Langtang (7,227m), Yala (5,500m), Shishapangma (8,013) and Dorje Lakpa (6,966m). It is a great time to take some beautiful pictures and after some exploration return back to Kyanjin Gompa. Overnight in Kyanjin Gompa. 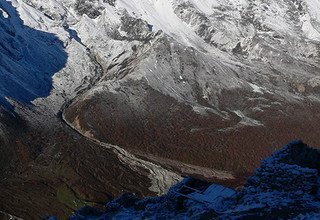 Following trail lined with juniper shrubs and descending a little to cross the Langtang Khola, we will make our way to Ngegang. 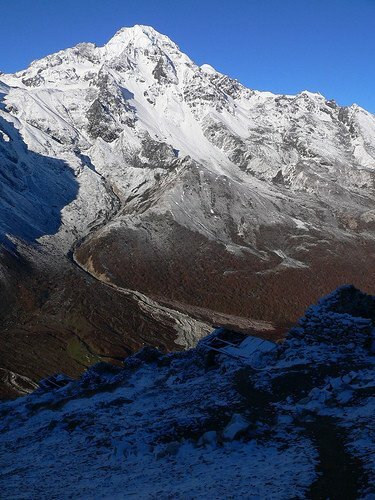 This trek gives fabulous views of the Langtang Lirung (7227m) as well as the Langtang glacier. One must keep an eye for spotting various animals rare animals here as there is a plethora of flora and fauna in this region. The snow leopard, red panda, and other species call this region their home. Overnight in Ngegang. 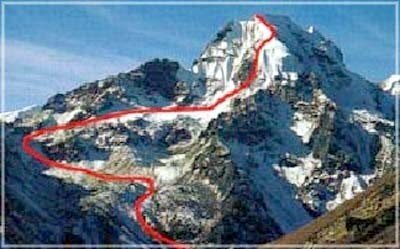 We will be walking on steep grounds as we move up to reach the High camp. Rocky icy landscape makes this area particularly tricky to walk on and one must be careful so as to not trip and sprain their ankle. Here too we will have magnificent views of the Himalayas, limited at first but turning into a panoramic view as we reach the top. 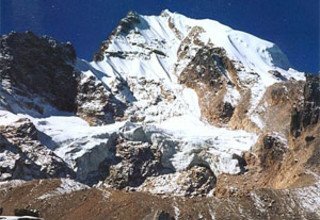 Mountains include Langtang (7,227m), Tserko Ri (4984m), Yala peak (5,500m) and so on. Overnight in High Camp. Getting up before sunrise we will start making the ascent. The stars visible in the night sky further motivate us to reach the summit and get glorious views. 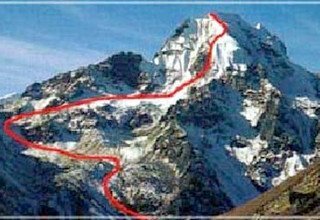 Following a steep climb from the north side, we will walk for a good amount of time before reaching the summit. With 360 degrees of mountains, this makes for a brilliant photo session and a time to take pride in oneself for having completed it. From the top, we will see the entire Langtang Lirung Massif, the glaciers, Tserko Ri (4984m), Yala peak (5500m), Shishapangma (8013) and Dorje Lakpa (6966m) and so on. Once we spend enough time up here, we will make our way down to Kharka. It has been a long and strenuous day and much rest is needed. Overnight in Ngegang. A relatively short trek today, we will descend down till we reach a suspension bridge and cross the Langtang River. We will then ascend for a while with beautiful scenery before reaching Kyangin Gompa. We pass across the Chhona Lake as we follow the trail descending to Kyanjin Gompa. The splendid mountains will accompany throughout the trek. Overnight in Kyanjin Gompa. We will pass few Sherpa and Tamang village and some pasture lands with yaks as we make our way to Rimche. We will mostly be taking downhill through forests of oaks and rhododendron with various wildflowers blooming as we end the trek for the day. We will follow the Langtang Khola for the entirety of the trek. Overnight in Rimche. Today marks the second last day of us walking and it is a good time to reflect upon our achievements and feel a great sense of pride and accomplishment. As we reach Thulo Syabru, slowly the city life can be felt nearing us. We head to Thulo Syabru following the trail through Bamboo village and a few hot springs. Overnight in Thulo Syabru. Day 13: Trek from Thulo Syabru to Thulo Barkhu 3 hours and drive back to Kathmandu 5hrs by private 4W Land Cruiser and transfer to Hotel. From Thulo Syabru we walk on familiar paths for around 3 hours before we reach Thulo Barkhu. This marks the final stretch of walking for us because after reaching here we will take a private vehicle and drive back to the hustle and bustle of the Kathmandu valley. You can shop for gifts and souvenirs upon reaching Kathmandu. Our representative will drop you to the airport, ending your journey in Nepal. We hope to be of service to you again. Thank you and safe travels. * 2 nights deluxe accommodation with breakfast at 3* hotel in Kathmandu. * 1 experienced, helpful and friendly guide, porters (1 porter for 2 persons) if necessary, their food & accommodation, salary, equipments and insurance. * Camping Equipments (Tent, kitchen utensils and mattresses). * Naya Kang (Ganja-La Chuli) Peak Permit and Garbage Deposit. 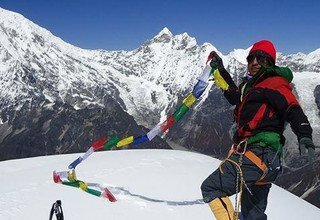 * Climbing Guide (Sherpa) Equipments Charge and insurance.